Sweet chocolate is made by combining chocolate with sugar. Milk chocolate is made by combining chocolate with condensed milk or milk powder, with sugar. 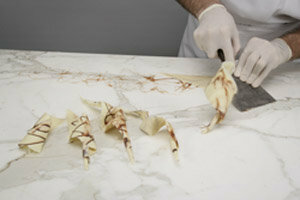 White chocolate is made from cocoa butter (but no cocoa solids) with condensed milk or milk powder, with sugar. Chocolate is often eaten as a confectionary, but is used to make beverages, and used in an ingredient in making cakes, desserts, and other recipes. Chocolate fridge cake - A tasty, but easy-to-make chocolate cake that you "cook" in the fridge. Chocolate mousse - A French recipe for a creamy dessert made from cream and eggs, flavored with chocolate. Cupavci - This is a Croatian recipe. It is a biscuit-like cake which is cut into squares. 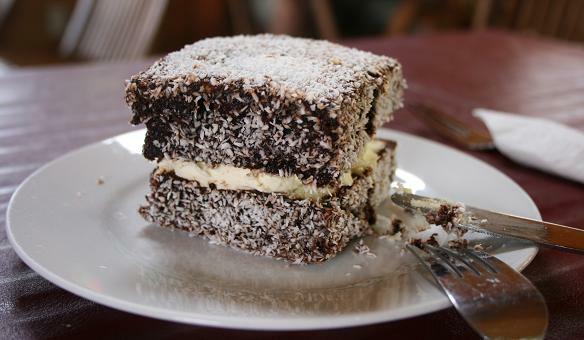 Each of the squares are covered with chocolate and dessicated coconut. Dobos torta - This one of Hungarian cuisine's most famous recipes. It takes its name from its inventor, József C. Dobos. Dobos torta is a layered sponge cake (usually five layers), covered with chocolate, caramel and nuts. Garash - This is a walnut cake, originally from Bulgarian cuisine. It is frosted with cream and bitter chocolate, then covered with chocolate icing. Nanaimo bar - This is a Canadian recipe. it is a dessert made from three layers - a crumb layer at the bottom made from coconut, nuts and wafer crumbs), a middle layer made from vanilla custard, and a top layer of chocolate. Sachertorte - This is one of Austrian cuisine's most famous cake recipes. 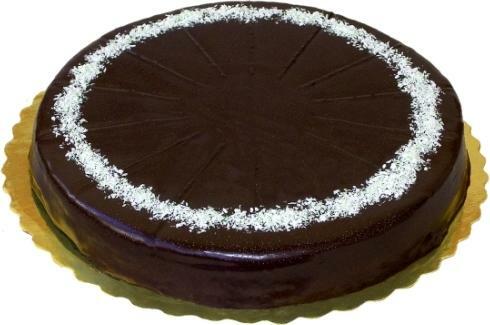 Sachertorte is a type of chocolate cake, and has dark chocolate icing and a layer of apricot jam in the middle. Schwarzwälder kirschtorte - Known overseas as quot;Black Forest gateau" or quot;Black Forest cake", this is one of German cuisine's most famous cakes. It is a cake made from layers of chocolate cake, with whipped cream and cherries inbetween each of layer. 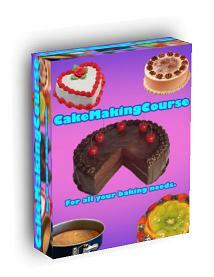 Whipped cream, maraschino cherries and chocolate shavings are used to decorate the cake. Clear cherry brandy (kirschwasser) is also used when making the cake to the traditional recipe. 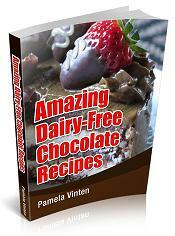 How About 72 Delicious, Dairy-Free Chocolate Recipes That Are All Rich, Smooth, Natural and Healthy? 550 Most Wanted Air Fryer Recipes for Quick & Hassle-Free cooking in 2019! Not having enough tasty and healthy recipes can cause us to cut corners when it comes to enjoying healthy home cooked meals. We start to rely on microwave “tv style” dinners, greasy takeout, and destroy our budget and health. But we all live busy lives these days and that shouldn’t mean we can’t enjoy healthy and delicious meals three times a day made fast and easy in the Air Fryer. This cookbook provides you with the necessary tools required to make the best dishes in the world. 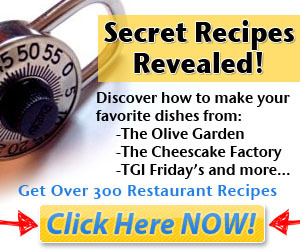 This cookbook presents а carefully hank-picked easy and delicious recipes that you can cook in your Air Fryer. Just Pick the best recipes you like and start cooking with your air fryer now. You will be amazed at how simple it is to use. The machine plays with you, but you need to make sure to handle it with care. It gives you healthy food with all the nutrients your body requires. Thus, you can feed your family with healthy meals without stressing yourself too much or spending long hours inside the kitchen. You don’t need to learn exceptional kitchen skills to make delicious and nutritious foods in your very own kitchen. With the Air Fryer, you can whip up your favorite comfort foods without breaking a sweat. With this nifty kitchen device, you will be able to prepare delicious meals any time of the day. What are you waiting for? Get your copy now! and Enjoy hassle-free cooking with Air Fryer. In this zany twist on the legend of King Midas and his golden touch, a boy acquires a magical gift that turns everything his lips touch into chocolate! Can you ever have too much of your favorite food? John Midas is about to find out…. 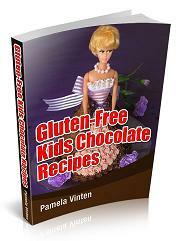 The Chocolate Touch has remained a favorite for millions of kids, teachers, and parents for several generations. It's an enjoyable story that pulls in even reluctant readers. This sketch book is dedicated to one of America’s great founding fathers, Alexander Hamilton a true revolutionary. Use your large A4 8.5" x 11" size, sketch book for all of your drawing and art work. This blank 100 page sketchbook will jump start your creativity with its minimal design and bright white pages. Pencils, pens, acrylics and light felt tipped pens, are best for this sketchbook. Great sketchbook for kids, teens and adults. 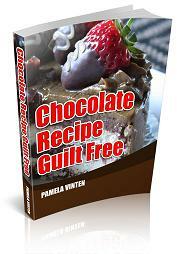 Getting Chocolate Fever can change your ideas about chocolate and life! Gathers recipes for cakes, cookies, pastries, crepes, blintzes, popovers, cream puffs, puff pastry, pies, cheesecakes, ice creams, and souffles. 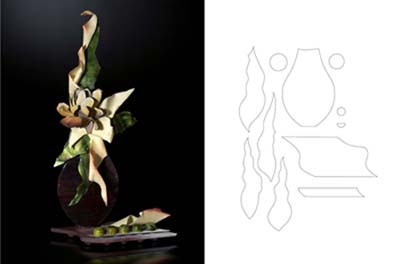 Beautiful full-color photos throughout provide inspiration for chocolate décor and showpiece design, while clear how-to photos illustrate key techniques. 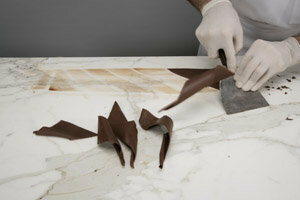 Spread a thin layer of tempered chocolate directly onto a marble with an offset spatula. Clean the edges with a triangle spatula to form a sharp rectangle. 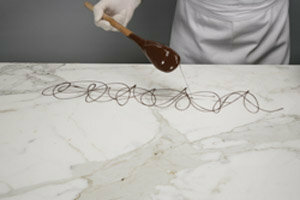 Once the chocolate sets, rub your hand over it to warm it and to increase elasticity. 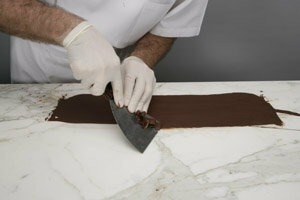 Use a triangle scraper to shave off the chocolate in a fast, curving outward motion.